This article provides high level information about how to power PXFmini and connect its most important peripherals. PXFmini is typically powered via its “power” port, as shown in the picture below. The power port simultaneously powers PXFmini and reads voltage and current analog measurements. It can be also powered using a BEC, you just need to connect to the PWM rail. Additionally, for developing/configuration purposes, it can be powered using a micro USB charger (2A recommended). 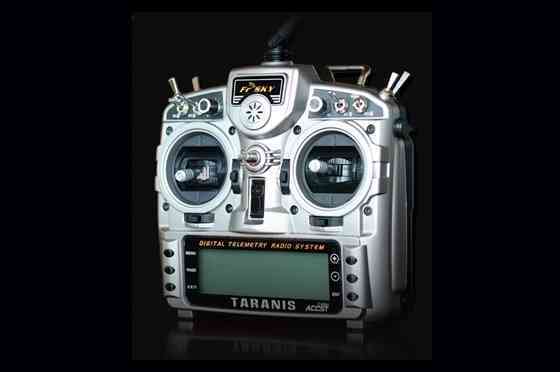 PXFmini is compatible with PPM remote control (RC) receivers. For traditional single-wire-per-channel (PWM) receivers a PPM encoder can be used to convert the receiver outputs to PPM-SUM. 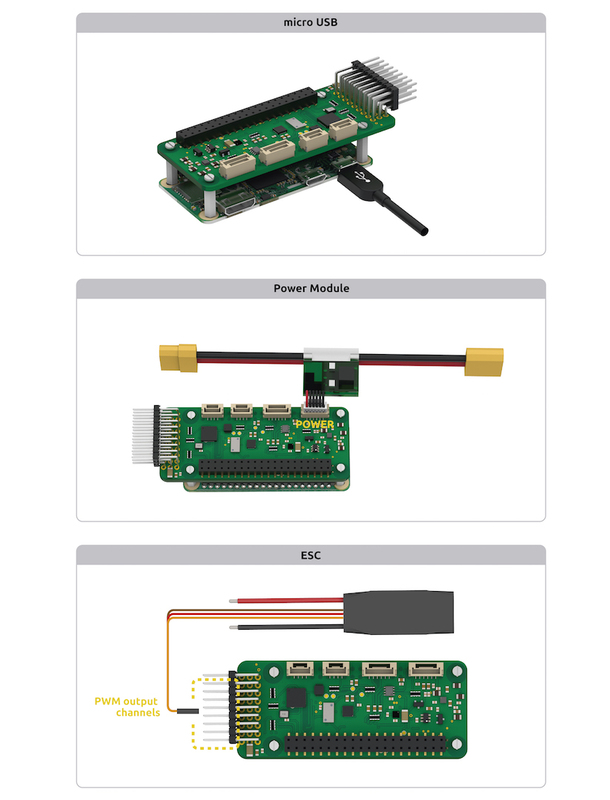 For more information see Compatible RC Transmitter and Receiver Systems (Erle-Brain 2). The PXFmini is compatible with the tecnology used in Erle-Brain 2. Be aware of how you connect ESCs wires to PWM rail. The signal wire (white or orange color) should be connected at the top, the ground wire (black or brown color) at the bottom. Use a (regular or high gain) WiFi dongle to create a hotspot that can, for example, be used for sending telemetry data and commands to a Ground Station. If you use the images provided by Erle Robotics, they automatically generate a WiFi hotspot. 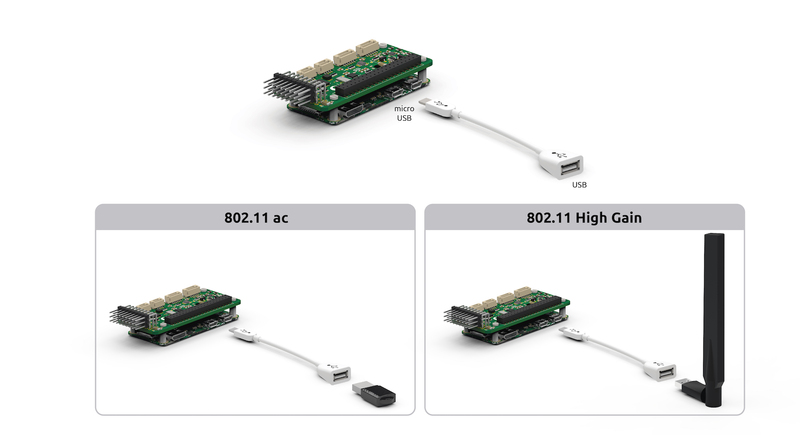 Edimax AC (regular and high gain) are the officially supported dongles. These can be purchased from Erle-Brain with your autopilot/vehicle. Use a Bluetooth dongle to connect additional devices, such as joysticks. Depending on your hardware there may be any number of other peripherals attached, including sensors, cameras, grippers etc. These can be found as sub-pages of the topic Optional Hardware. More information in official documentation. 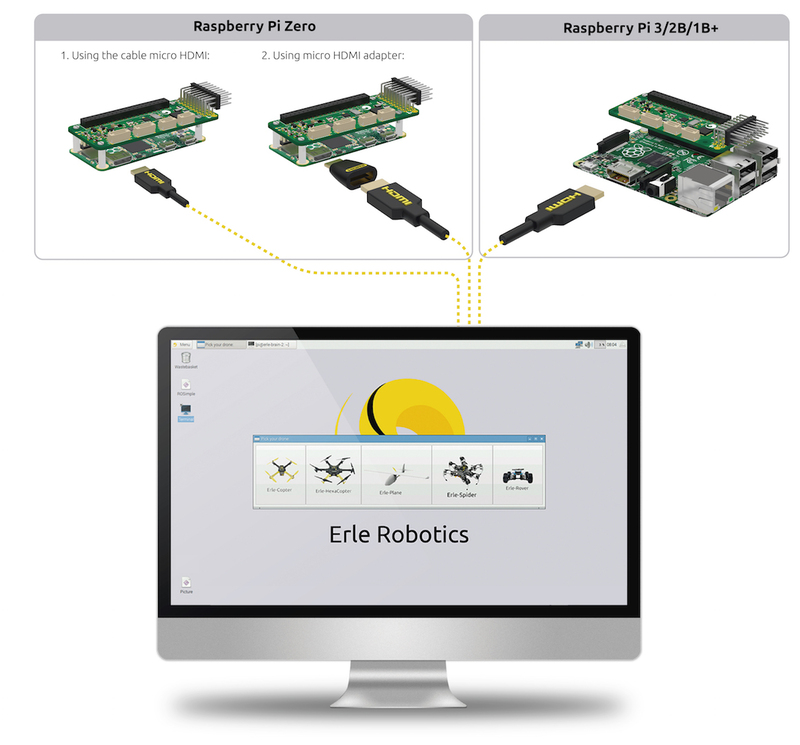 Erle Robotics official documentation includes additional information about how to use PXFmini.